Outgoing Civil Service Strollers manager Alex Cunningham says ending the season with silverware would be the perfect send-off. Cunningham, who has been at the helm since 2015, has the opportunity to lead his side to within 90 minutes of glory when Strollers host Vale of Leithen at Christie Gillies Park tomorrow in the South Region Challenge Cup semi-final. Former Edinburgh City boss Gary Jardine has been working behind the scenes since the turn of the year, as he prepares to take charge next month. 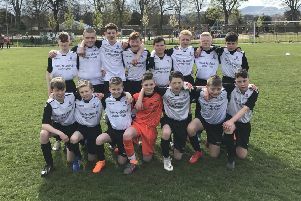 The Capital outfit are looking to cap off a fine season where they achieved a seventh-placed finish in the Lowland League and will play BSC Glasgow in next Sunday’s South Region Challenge Cup final if they can overcome Vale. Meanwhile, in the East of Scotland King Cup second round, Tynecastle host Coldstream at Saughton Enclosure tomorrow and Leith Athletic welcome Stirling University to Peffermill.